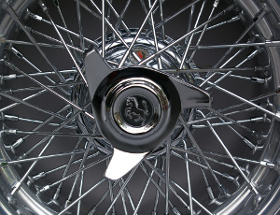 Longstone Tyres are the UK's official agent for Borrani wire wheels. 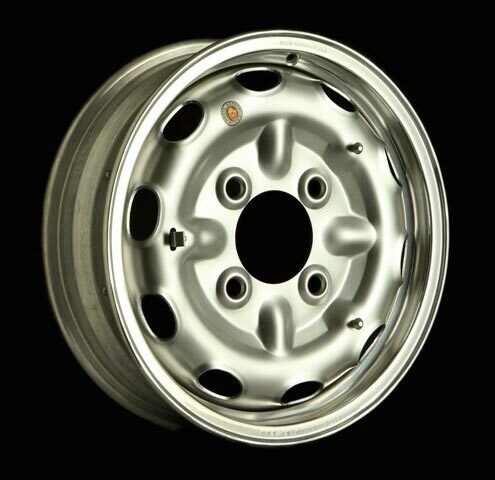 We are also the only company in the UK who can arrange to have your Borrani wheels rebuilt by Ruote Borrani in Milan. To buy your Borrani wire wheels and spinners quickly and easily online, please visit our dedicated Borrani website: www.borrani.com. The complete Borrani archives include all the original projects and drawings for all standard cars, and for special cars equipped with Borrani wheels. This forms a crucial support to answer the wide range of requests from customers all over the world. All Borrani wheels were developed in close collaboration with the related car makers as a complicated and sophisticated technical product. 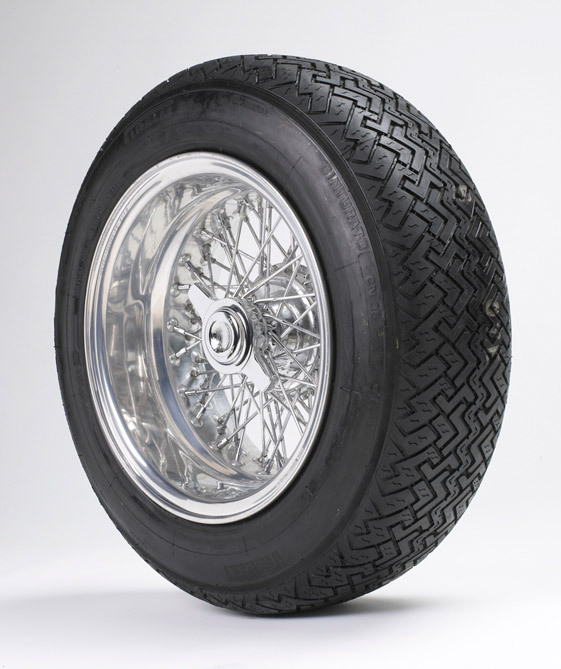 Borrani wheels in most cases were an integral part of the car's homologation and were also extensively tested as such. All Borrani aluminium rims are identified by a stamped RW-code of four or five figures, the unique Ruote Borrani Milano stamping (there are several variations), and a stamped internal production number. These codes also apply to the hubs. All numeric codes correspond with Borrani technical and production documentation. The mounting of a non-original, modified or unprofessionally restored wire wheel on your car can pose serious risks and can cause you harm and damages. It can affect the original approvals and homologation, as well as the handling and safety of your vehicle. Wire wheels offered on the international market as 'Borrani style wheels' or 'Borrani replacements' by other parties have absolutely nothing to do with the original Borrani products and are not certified or authorized in any way to replace original Borrani products. 'Borrani', 'Ruote Borrani Milano' and 'RuoteMilano' are registered trademarks.